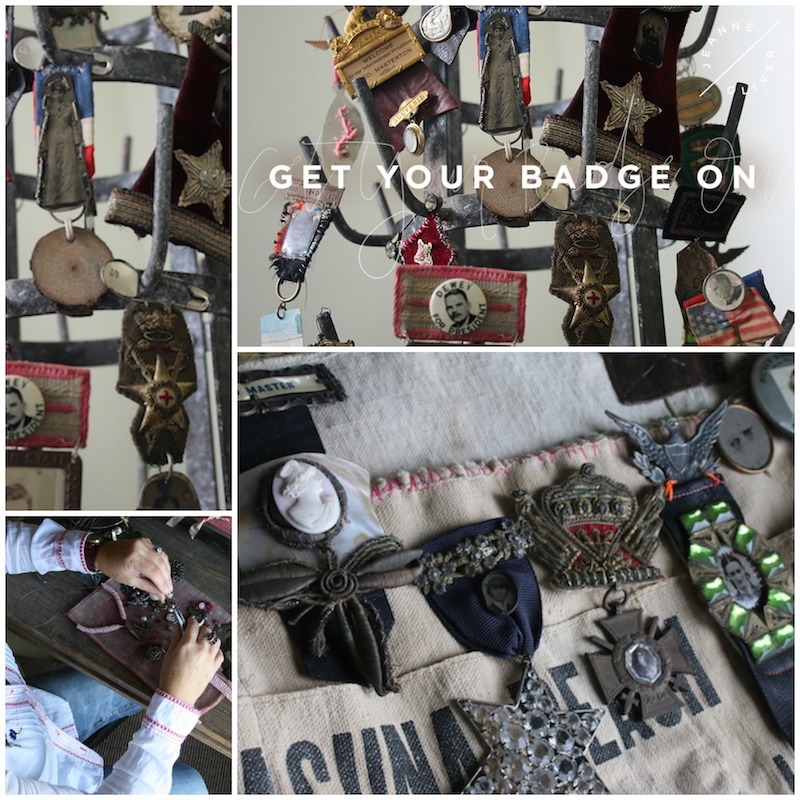 Stamping, assemblage, vintage trinkets, leather, and patches will lead you straight into creating one of a kind badges with jewelry artist Amy Hanna. Amy is offering her techniques online for the first time on jeanneoliver.com and we could not be more honored. Amy will share her whimsical way of mixing delicate finds with forgotten treasures. If you are a beginner or a long time creator this will be a fun adventure for you to explore your forgotten treasure boxes, stashes of souvenirs, discarded trims, velvets and leather scraps. 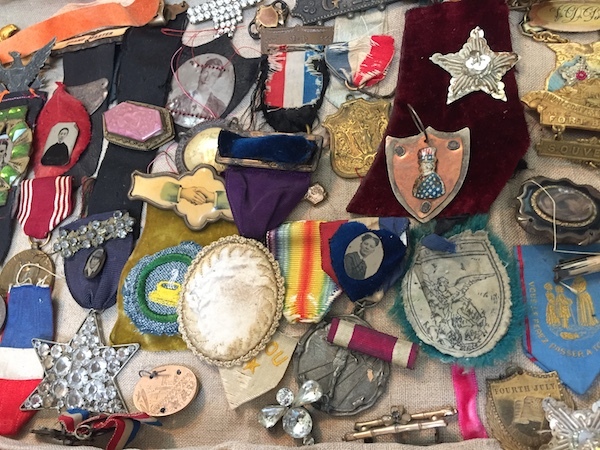 If you do not already have a collection of goodies then it will give you a reason to explore and search local antique and flea markets, eBay and Etsy in search of just the right things to work with. You will be mixing your elements to create one of kind gifts and unique wearable art pieces. You will learn how to design, cut out and personalize your own charms. Learning different ways to attach and connect items. 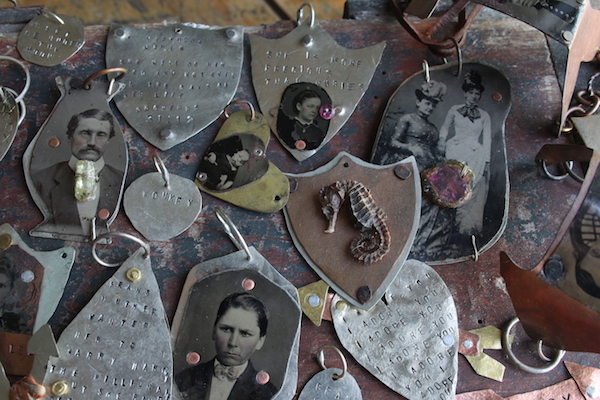 Stamping out your own sayings and mixing in Victorian tin types, gemstones and tiny treasures to customize your pieces. These charms can be used as pendants, book markers, wine glass tags, bracelets, key chains, dog tags or anything else that you can think of. 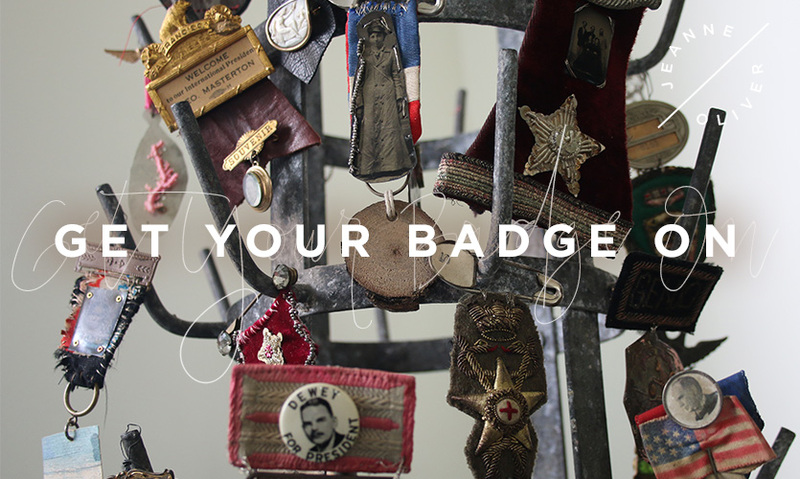 You will also be making unique badges to accessorize your jackets or bags. They make great gifts and party favors. Once you start making them you can’t stop thinking of new ways of using them. You have 24 hours left to get the early registration price ($32) for Get Your Badge On with Amy Hanna. This course will go live on March 13, 2018, have 4 hours of content and lifetime* access. To read more or to register click HERE.